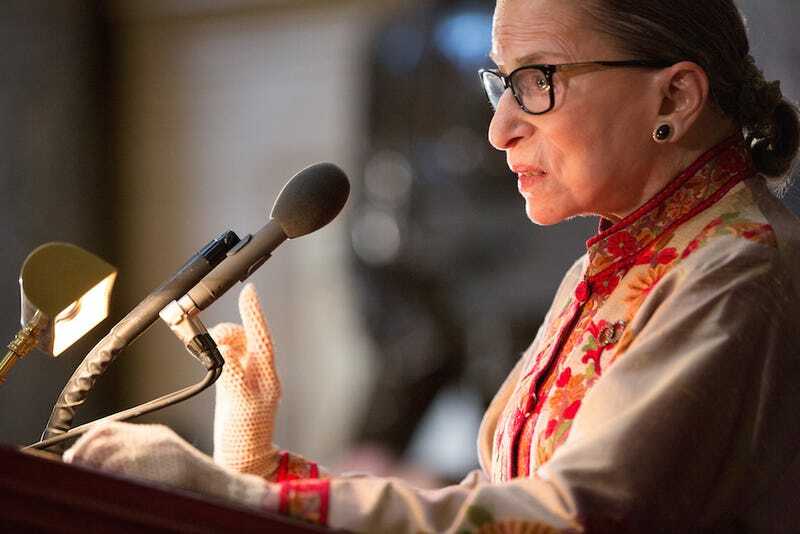 U.S. Supreme Court Justice Ruth Bader Ginsburg accepted the Radcliffe Medal from Harvard’s Radcliffe Institute for Advanced Study on Friday, and in her speech, the always-inspiring 82-year-old badass advised her young female listeners to lead by example. Ginsberg also mentioned that she looks forward to seeing “Scalia/Ginsberg,” the comedic opera based on her longtime friendship with Supreme Court antagonist Antonin Scalia. As do we all.